We offer a comprehensive range of tree surgery to both private and commercial clients. Our staff are highly skilled to safely remove any sized tree in all locations and with minimum of ground disturbance. Our team are well experienced in stump removal, so you can have peace of mind that your job will be completed safely and professionally. 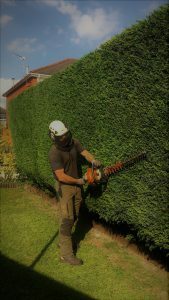 We have the skill to produce perfect looking hedges with neat lines, whether its one off cut or an annual trim. We provide full garden maintenance services, get in contact to find out what we can offer. Our experienced fencing team specialise in supplying and erecting all types of residential fences. At Tree Squadron, we are glad to present our tree surgery and tree care services to ensure the health and safety of your trees. Like all other plants, trees require regular maintenance to ensure that they look appealing, are healthy and do not pose a risk to the occupants of your home. Our team is ready and willing to take care of these requirements so that you can enjoy what your trees offer. We have a large team of specialists in areas of tree care, including growth, diseases, soil fertility and pruning. You are definitely going to receive a high quality service. We boast of the latest tree surgery tools to ensure a fast and quality job. We also upgrade our skills from time to time on new technologies on the market. We are fully insured meaning you do not have to worry about injuries or damage to your property as we do our work. We are available all week long for any tree-related service in any weather. We offer all-round tree care services for residential and commercial clients. Besides, we provide consultancy and tree survey services to help you make quality decisions. We have professional teams and tools to remove any tree size safely at any location with little ground disturbance and no damage to property. When you need to use an area that had trees or improve its look, you can rely on us to get rid of the stump fast and safely. If most of the trees are left to grow unhindered, they are likely to spin out of control. Some may touch utility lines while other branches can get too weak and break, damaging structures underneath and causing injury. Our team can prune branches effectively to prevent the above problems and enhance the aesthetic appeal of your trees and outdoors. 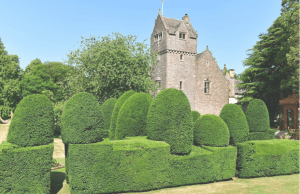 Hedges are great for their security, privacy an aesthetic appearance. We are ready to give your live fence that touch of class to ensure that it looks perfectly trimmed. Trimming also helps in closing in gaps along the fence. If you would like to know more about maintaining your trees or how to deal with a problem affecting them, use our expertise for information. We help our commercial and residential clients get young trees, walk with them through the growth processes and help them deal with tree-related problems. If your tree has fallen on a structure, branches are bending too low or possess any other type of risk; we can deal with the risk fast. Our emergency services are available any day of the week and quite affordable. Trees are gorgeous if they get proper care and attention. However, given their height and size, it is advisable to have professional tree surgeons work on them. Contact us today for any tree-related solution or answer. We will be glad to help.